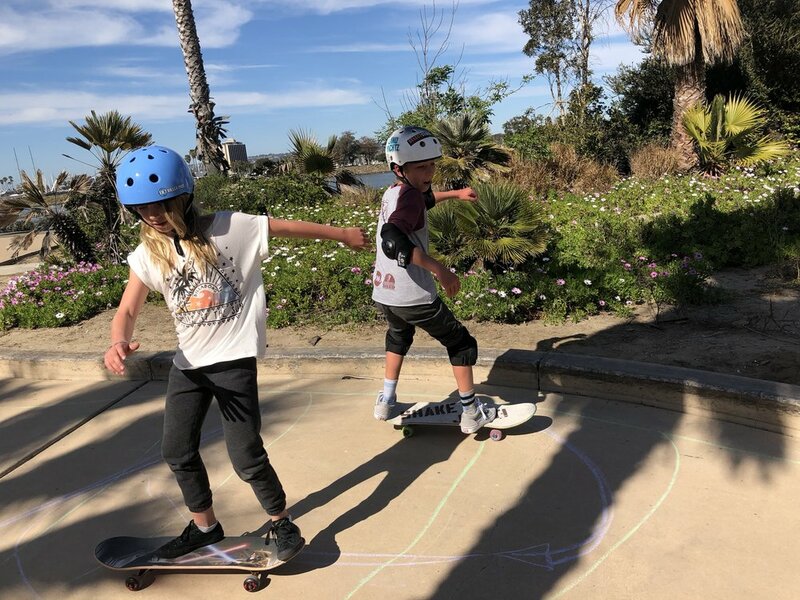 Skateboarding is an incredible way to improve your surfing skills, develop muscle memory, build strength and stamina, and plus it's a lot of fun! Learn the fundamentals of skateboarding or add to your repertoire of tricks, all levels and abilities welcome! Our coaches can help you take your skateboarding to the next level by breaking down individual maneuvers or can get you started with the basics. We have high standards and expectations for the youth in our programs, which helps foster a culture of patience, understanding and good decision making. One of the best ways to get good at surfing is by skateboarding. We practice fundamental surfing movements and students learn how to approach the waves by developing their confidence on skateboards.